This June, Future Tenant is proud to highlight a diverse range of artwork exploring feminist narratives through non-traditional mediums. Opening on June 1st, 2017, the show is a visual arts exhibition curated by Christina Lee. The show is free and open to audiences of all ages. Future Tenant will hold an Opening Night Reception at 6PM on June 1st for a chance to meet the artists and enjoy complimentary food and beverages. The Bechdel Test, named after American cartoonist Alison Bechdel, asks whether a work of fiction fulfills 3 requirements: it features two women in speaking roles, who have names, and who talk to each other about something other than a man. The title of this show, “I’M NOT WITH HIM”, intentionally does not pass as a way to teach about the Bechdel test, and to function as a mirror to our current cultural landscape. According to University of Southern California’s Annenberg School for Communication and Journalism, only 4% of American films have been directed by women in the past 11 years. The male gaze is alive and well. “I’M NOT WITH HIM” features work by Hannah Epstein, Lizzee Solomon, Katrina Majkut, Jenna Houston, and Njaimeh Njie. 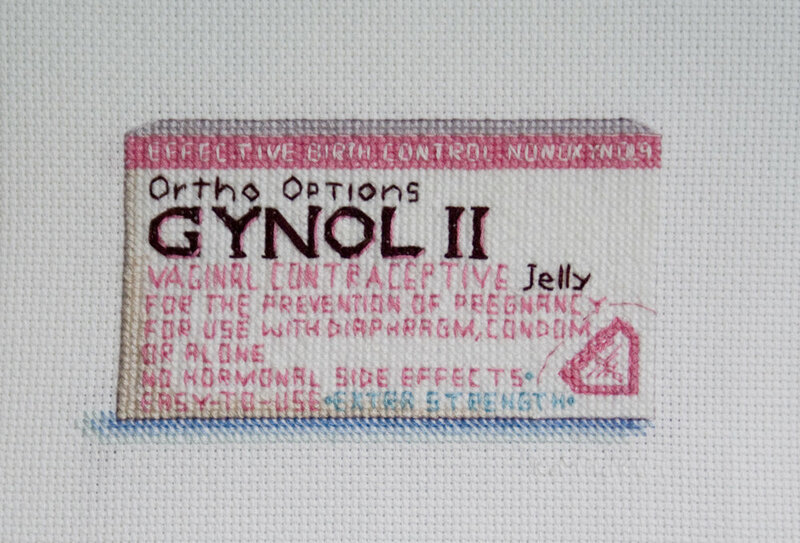 Their art explores feminist narratives through nontraditional mediums, such as rug-hooking, site-specific installation, photography, and cross-stitching. Most importantly, they refuse to give in to the burdens of the male gaze. Instead, they yell back at the catcaller. 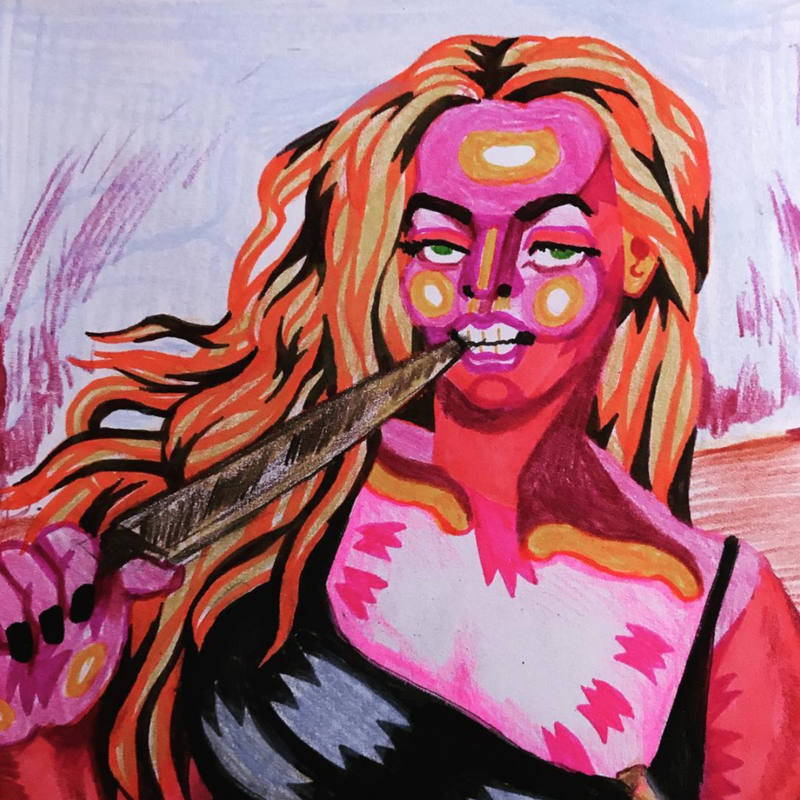 By subversively re-appropriating the male gaze, questioning patriarchal histories, and imbuing narratives with subjectivity, these artists create work that embraces the consequences of yelling back. The show will be open to the public from June 1 to July 1 at 819 Penn Avenue, Future Tenant’s gallery space in the Cultural District. Christina Lee is an illustrator, zinemaker, printmaker, animator, and designer from San Jose, CA currently based in Pittsburgh, PA. She is a recent graduate of Carnegie Mellon University’s Fine Arts program, and has also studied Illustration at University Arts London, Camberwell in London and Graphic Design at the School of Visual Art in New York City. She is currently a Designer at ShowClix and moonlights as an Illustrator for various publications, clothing stores, ad agencies, greeting card companies, and restaurants. Graphic novels, pop culture, and kitsch are highly influential to her work.